We’re painting up a storm in the Toronto Northwest area including Milton, Georgetown, Caledon, Orangeville, Tottenham, Bolton and more! WOW 1 DAY PAINTING Milton & Brampton We bring a fast, affordable and high quality solution for all interior or exterior residential, commercial and industrial painting projects. We respect your time as much as you do and provide the quality paint job you expect, in a timeline that is unexpected. 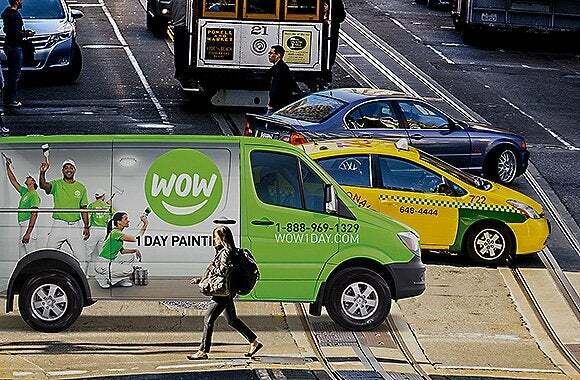 Travis Sellar is both excited and proud to be the Franchise Partner for WOW 1 DAY PAINTING Toronto Northwest. He knew he wanted to be a part of the company immediately upon hearing the name as it represented a unique opportunity to overhaul an outdated industry, by creating a new first-rate customer-first brand. 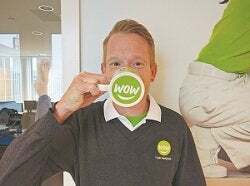 A crystal clear vision: painting a home in a day with excellent quality for a fair price, is not only powerful but it's a promise that Travis, and his expanding team, aim to deliver to each and every WOW 1 DAY PAINTING Toronto Northwest client. Need a painting job done with speed and quality? Our painters also offer free, transparent estimates in the Greater Toronto Northwest region. Here at WOW 1 DAY PAINTING, we're creating happy customers by completing projects that take other contractors days, or even weeks, to finish in just one day. WOW! As a full-service painting company, we take care of everything needed to transform your walls into works of art! We'll supply all the materials, tools, low-VOC paint, and professional labour needed to complete your project quickly, without compromising on quality. It's a stroke of genius! Whether you want to have the exterior of your house spruced up before you list it for sale or you'd simply like to come home to a great-looking property every evening, we're here to help. We're the experts when it comes to painting exterior surfaces like wood siding, brick, stucco, stonework, vinyl and more. We can also sand and stain decks, pool cabanas, and other wood structures and surfaces - all in just 1 day. Painting is the most affordable, most effective way to boost the curb appeal of your home and protect your investment against premature wear from the harsh weather here in the GTA. Our full-service exterior painting includes complete surface preparation including pressure-washing as needed. We'll take care to protect your flower beds, hedges, and windows while we work, and we can even re-caulk your windows and doors to increase the energy-efficiency of your home. You'll be amazed at what a difference a day makes. No job is too big, or too small, for WOW 1 DAY PAINTING. We can paint a single wall, a few rooms, or the entire interior of your home. We've painted thousands of bathrooms, kitchens, basements, and more using our innovative, professional painting system that lets us complete your project in just 1 day. Blink, and you'll miss us! Here at WOW 1 DAY PAINTING, we believe you deserve to know exactly what your painting project will cost before you commit to having the work done - that's why we'll create a personalised, detailed quote for you that includes all the professional labour, eco-friendly paint and supplies needed to paint your home. 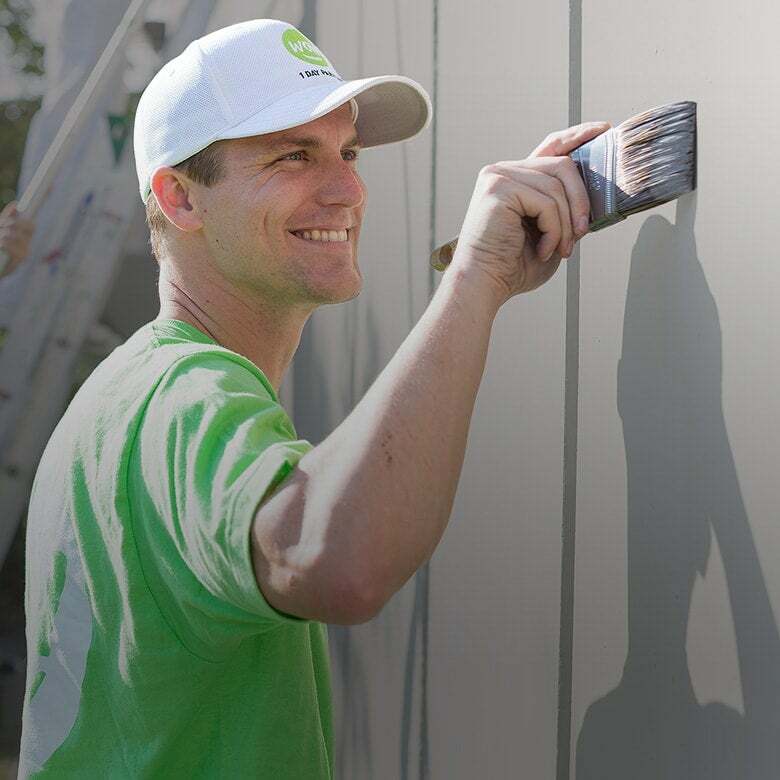 If you decide to work with us, we'll schedule your painting job on a day that works with your busy schedule, and we'll call you to re-confirm the date before we arrive. On the day of your painting project, our friendly, uniformed crew will arrive on time. We'll start by carefully protecting your furniture and flooring with clean drop cloths, and filling and sanding any holes or cracks in your walls. Once the painting begins, our on-site supervisor will continuously monitor the work to ensure everything looks fantastic, and before we leave, we'll tidy up after ourselves. At the end of the day, we'll ask you to complete a walkthrough with us to admire your freshly-painted walls, and make sure you've been WOWed by our work. We'll give you a call the following day to double-check that you're still thrilled with us, and our painting, because we're not happy unless you are! If you need residential or commercial painting services in Toronto Northwest, call us today or go online to book your free, no-obligation estimate. We work with homeowners, retail outlets, Realtors, and property managers throughout Dufferin County, Caledon, Peel Region and Halton Region who need fast, high-quality painting services.